Dr.Malpani's Blog: Why do doctors want to be so busy ? 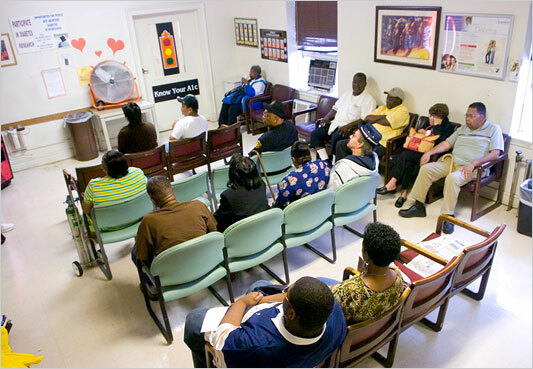 Some doctors are proud of the fact that they have a waiting room which is full of patients who are waiting patiently in line to see them . They routinely make patients wait for 2 to 3 hours - and boast that patients are willing to put up with so much trouble in order to see them. This gratifies their ego ; and testifies to their personal belief that the reason they're so much in demand is because they are so much better than their colleagues and contemporaries . While this may engender a great feeling of satisfaction, I wonder whether this is a sensible approach. It's great to have patients who are waiting to see – after all, doctors are professionals who want to feel valued ; and they are happy that their services are desired. However, this can actually be quite counterproductive. While you do need to see patients in order to earn an income, having too many patients actually creates its own sets of problems. For one thing , the fact that you have a waiting room full of inpatient patients can stress you out, if you are a conscientious doctor who values and respects his patients’ time . It can make you edgy and prevents you from focusing your energies on the patient who is sitting in front of you . This is why doctors tend to be curt and brusque. Also, when you are pressurized for time, you are more likely to make mistakes than you would otherwise . Having too many patients actually reduces a doctor’s productivity and efficiency. While it may increase your income , it actually reduces your happiness. It's far more fun to establish a one-on-one relationship with every patient and engage with them, rather than process a large number of patients in the fashion of an assembly-line operation . When this happens, you are not likely to get much emotional gratification from interacting with the patient - and if you don't get this emotional connection, you lose the fun of being a doctor ! Engaged patients nourish a doctor – and enrich his personal and professional life far more than they impact his bank balance ! Some doctors will say they are helpless to deal with this problem. What do I do with the hundreds of patients who are clamouring to see me because I'm so good ? Is it my fault that there are such few doctors who are as good as I am ? Would it be fair on my part to deprive these patients of myself. superior medical skills ? Since no one else can do as good a job as I can, I am forced see all of them – and this is why they have to wait so long to see me - because there's only one of me ! This may be true up to a point, but I refuse to believe that any doctor is irreplaceable ! Doctors who have the patient's best interests at heart can develop intelligent systems in order to deal with this kind of skewed demand for their services . Thus, they could develop a team of junior doctors , each of whom has special interests , who could then share his workload , thus improving productivity and efficiency , and also giving young doctors a chance to polish the professional skills. However, sometimes senior doctors are threatened by competent juniors . They are reluctant to provide this kind of coaching and mentoring, because their fear is that once the young the doctor acquires the skills which they have to impart , he will set up shop in a competing hospital and take his patients away, thus reducing his workload. Doctors need to re-learn that the best way to be happy is to have happy patients – and patients who have to wait too long if you are inaccessible are not likely to be happy with you ! Having fewer patients allows you to establish a personal relationship with them, and this in turn nourishes you, and helps to keep them satisfied. You need to learn to be selective – and focus only on patients who have problems which interest you. If you have too many patients , not only does the risk of something going wrong increase , the risk of that unhappy and dissatisfied patient suing you increases dramatically as well – and one unhappy and dissatisfied patient can create a lot of havoc ! I think another problem is that many doctors just don’t have many outside interests. Their whole life revolves around their patients – and they don’t know what to do with their spare time. This is one of the reasons they like keeping themselves superbusy ! Doctors need to learn to lead a full life, which does not revolve solely around their professional avatar – after all, life has so much more to offer!